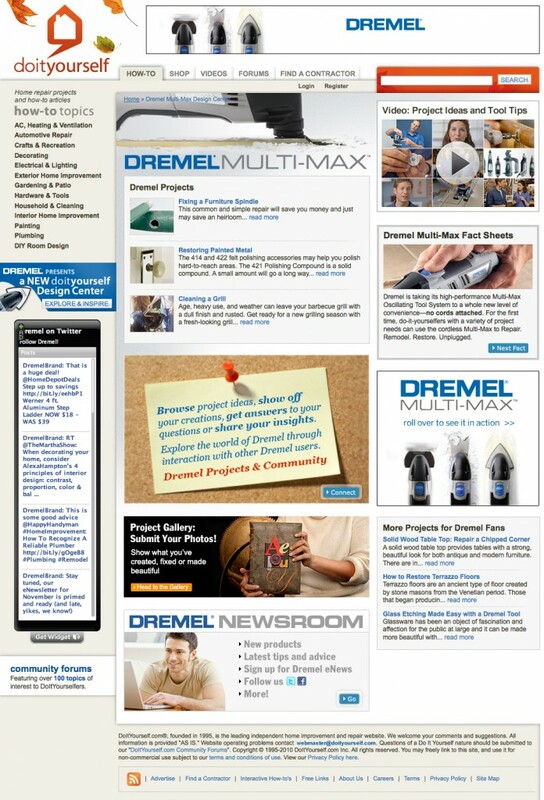 In this case, Dremel worked closely with us to provide a great breadth of rich content, from videos to “fact sheets” to interactive ads. Response has been great. This is a relatively short campaign, so the feature needs to work hard. Every clickable element on the page is tracked. We’ll know what worked, and have solid numbers to take to the next prospect. The results of this campaign turned out to be stellar. For more details about this online advertising project, see the posts, Online advertising trends: all kinds of collaborative and Big Ticket: teaming design with sales to grow value.